Talaq, talaq talaq has probably not been uttered as many times between Muslim husbands and wives as it has been in Parliament and media in recent times. With every Parliament session, the hackneyed but heated debate takes centrestage, skewing the national discourse in the country to an issue that warrants limited attention. As the BJP-led NDA government strives to criminalise the practice, claiming it to be the ultimate move for the liberation of Muslim women, people from the Muslim community — including journalists, commentators, jurists, the All India Muslim Personal Law Board and clerics — are trying to educate the public about various aspects of this theological and legal issue. 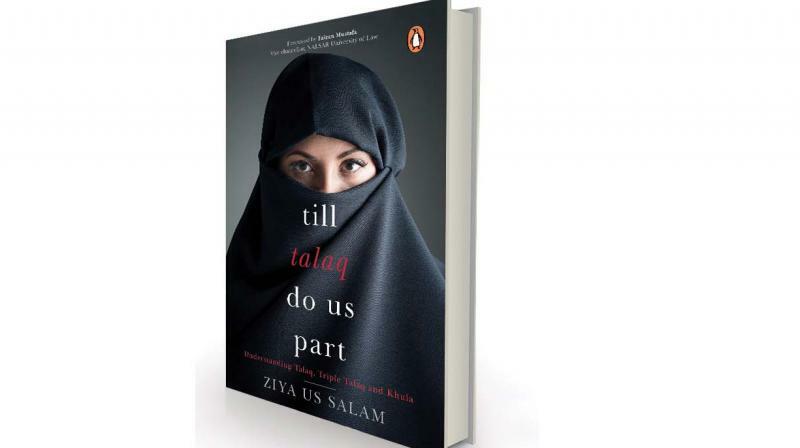 Journalist Ziya Us Salam’s book, Till Talaq Do Us Part, which hit the bookstores last year, is an intervention as part of such educative efforts. The writer aims to removes misconceptions about the practice of instant triple talaq in India. However, despite proving with clarity that the practice of triple talaq is “un-Quranic” and an innovated practice (instant triple talaq is called talaq-e-biddat, the innovated or sinful one), the book doesn’t take a progressive position. It doesn’t declare that the practice, despite its endorsement by respected imams (leaders of Islamic jurisprudence), was erroneously promulgated. The Quran stipulates the method of talaq in a gradual manner. It demands that the husband must pronounce one talaq at a time before three menstruation periods of his wife and then wait. Meanwhile, a process of reconciliation should be started between people from both the sides. Maximum emphasis should be on reconciliation, as Allah likes that people don’t break bonds of love. But, if in extreme conditions, husband pronounces third talaq and the woman completes her menstruation cycle, the talaq is considered valid. There is no notion of arbitrary or one-time instant triple talaq in the Quran. The book traces the origin of triple talaq to the time of Caliph Umar in the 7th century, years after Prophet Muhammad’s demise. There was no prevalence of such a practice during the Prophet’s time. There is an oft-repeated narrative that Umar ordered instant triple talaq to be valid to tackle exigencies of some urgent situations. The book claims the Caliph’s administrative decision was meant to prevent men cheating and mistreating their wives. “Though Caliph Umar made triple talaq valid, he put in a condition. 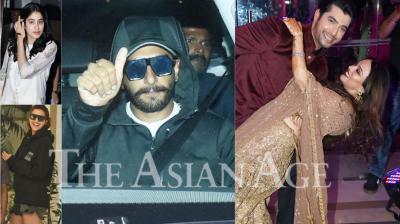 The instant divorce would be accepted, but the man giving instant talaq would be publicly flogged. It was his way of ensuring that men desisted from the action. Any pronouncement of instant talaq was followed by the public flogging of the husband. It is this condition which modern-day maulanas have conveniently ignored, even as they declare triple talaq a valid way of divorcing one’s wife,” the book declares. Contrast this argument with the BJP’s Triple Talaq Bill and the criminalisation of triple talaq in some Muslim countries. Triple talaq is a punishable offence in Jordan. The BJP’s Bill demands it to be punishable with a certain period of jail term. In India, the majority of Muslims in India, including the author of the book, oppose the BJP’s Bill but don’t provide dissenting opinions on Caliph Umar’s ruling. Caliph Umar’s ruling was nullified by the Ali, the fourth Caliph. Ali reverted back to the rules of the Prophet’s time. Therefore, Shia Muslims, who strictly follow Caliph Ali, don’t have a concept of instant triple talaq. The writer later informs that instant triple talaq is considered valid among followers of 8th century jurist Imam Abu Hanifa, and his almost contemporaries Imam Shafai and Imam Malik. Followers of another stalwart, Imam Hanbal, reject instant triple talaq. Together, all these four imams make the most followed four schools of thought of Sunni Muslims world over. In the Indian subcontinent, a majority of Sunni Muslims follow Imam Abu Hanifa and are thus called Hanafis. They believe in the validity of instant triple talaq. But, unfortunately, the writer doesn’t elaborate on this important aspect. He doesn’t cite a single argument of Imam Hanifa on triple talaq. Neither does he go into details on how later day jurists drew from Imam Hanifa and what exactly was the discourse in Muslim intellectual circles regarding it. How the phenomenon of instant triple talaq survived and on what grounds. The writer doesn’t answer, except saying that that semi-literate clerics kept it alive, ignoring Quranic injunctions and merely taking Caliph Umar’s ruling as the example. Interestingly, the book quotes Imam Abu Hanifa saying that he advised that his opinion be ignored if it contrasts with Quranic wisdom and that the Imam himself didn’t write any book. His disciples compiled his opinions on various subjects. “So, there is no direct word from Imam Hanifa on triple talaq,” says the book. If there was no direct word from the Imam, how come his followers insist he had? The book doesn’t take up this debate. AIMPLB enjoys a formidable clout among Indian Muslims. Formed in the 1970s, it shot to prominence during the resistance to the SC ruling in the famous case of Shah Bano in 1986. Since then, it is considered to be the custodian of personal laws of Indian Muslims. Even on the triple talaq issue, the board organised huge rallies of Muslim women in many cities to protest against BJP’s Bill. Despite a clear diagnosis of the AIMPLB, Ziya Us Salam sees hope that the board will bring reforms in the community through its campaign to make people aware of the ills of the practice of instant triple talaq via the board’s efforts such as introduction of a model nikahnama that will insert a clause against instant triple talaq. But, perhaps only hopefuls like Ziya Us Salam can dream of the day when AIMPLB will work for reforms of the community because no one in this country has seen any couple who the board convinced so far to wed via its so-called model nikahnama. That will actually be a revolutionary day for Indian Muslims. Till Talaq Do Us Part is a very useful guide to understand all the contours of debate around the practice of instant triple talaq. Spread over 13 short essays on various aspects of the subject, it’s sound reportage but contradictory analysis.